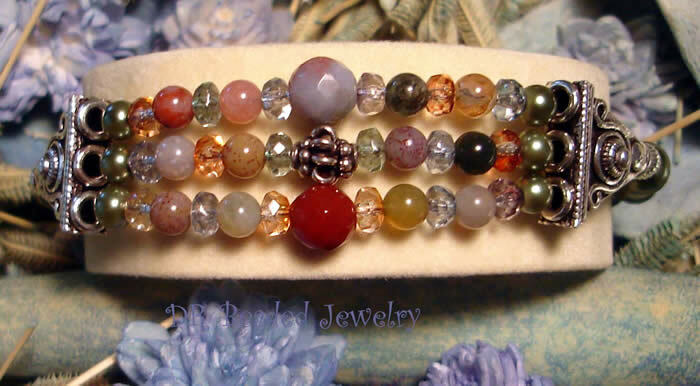 Welcome to Desert Rain Beaded Jewelry! Here you will find original and eclectic handmade beaded jewelry lovingly created with semi-precious Gemstones, Swarovski crystals, Pearls, Czech glass, Copper, Sterling Silver, and Gold-filled findings. The jewerly is arranged by collections to match your mood, style or occasion. All beaded and wire jewelry is handcrafted and created by me with the outmost care and devotion. My passion is creating beautiful jewelry that is well-made and has a touch of fun, beauty, and elegance. Take a peek at the Gallery to catch a glimpse of my past creations or read About the Jewelry to learn more about the materials used. I hope you enjoy browsing through my handmade beaded jewelry collection and come back often as I frequently update with new pieces. 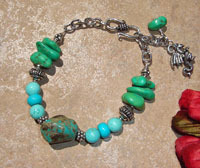 Gorgeous Turquoise Bracelet with Bali Silver and Dragon charm. 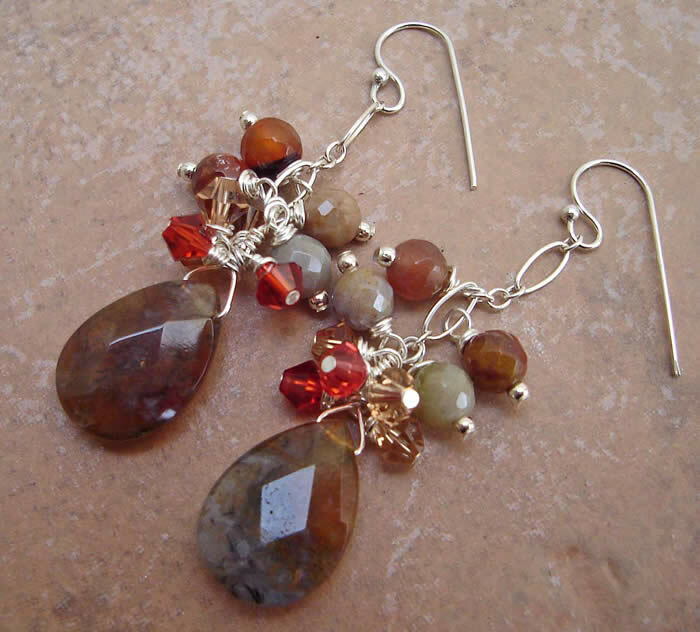 Beautiful Fancy Jasper and Swarovski crystals earrings.